Also known as the Amazonian ox manatee, this rare manatee is found in the Amazon Rivers and its larger tributaries, including rivers of Brazil, Colombia, Ecuador, Peru, and Venezuela. 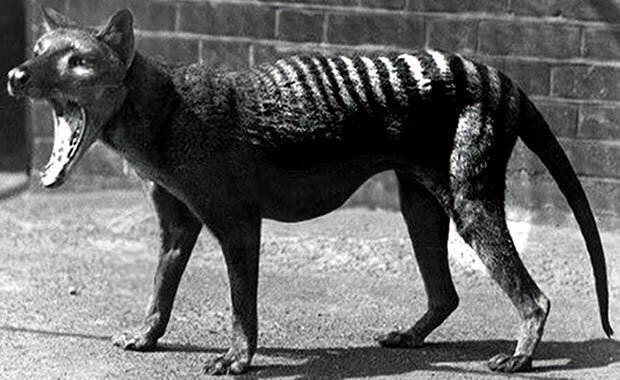 It has a flattened tail used for swimming and is a very docile and slow-moving creature. They are barely seen swimming toward the surface and can only be detected when they come up for air. Manatees can weigh over 1000 lbs and males are usually larger than females. Amazonian manatees prefer warm and fresh water. They sometimes group in herds in river channels during the dry season, but during the wet season prefer solitary living or only with family groups. 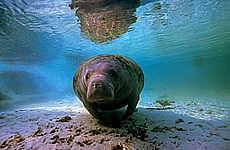 The manatee feeds mainly during the wet season, eating mostly aquatic vegetation. They also eat fruits of terrestrial plants that they may find floating in the water during certain seasons. Breeding occurs year-round, and the female gives birth to only one calf after a gestation period of 13 months. The calf may depend on the mother for several years. The female often holds the young by her side or breast with her flippers. Once an abundant species, the Amazonian manatee is now a rare species mainly because of hunting by indigenous people for meat and the introduction of firearms. Also, during the 30s and 40s the Amazonian manatee was commercially hunted and slaughtered by the thousands for their hides which were very tough and flexible and could be used for manufacturing water hoses and machine belts. There is no longer any commercial hunting of this sort today, but they are still being hunted by the indigenous of the Amazon. The Amazonian manatee is now legally protected and there is also a new population of manatee that has been established in a Brazil reservoir, but they are still being hunted. Copyright Notice: This article is licensed under the GNU Free Documentation License. It uses material from the Wikipedia article "Amazonian manatee". Glenn, C. R. 2006. "Earth's Endangered Creatures - Amazonian Manatee Facts" (Online). Accessed 4/24/2019 at http://earthsendangered.com/profile.asp?sp=250&ID=11. Need more Amazonian Manatee facts?